With summer and Christmas just around the bend, travel lovers from Australia and New Zealand have no shortage of opportunity to celebrate the warmest, sunniest months of the year, with a wide variety of summer festivals taking place throughout the southern hemisphere. New Zealand’s world-famous New Year’s Eve festival of Rhythm and Vines attracts partygoers and music-lovers from around the globe, and is the perfect way for travellers to celebrate the final day of the year in the summer sun. Taking place in Gisbourne from the 29th of December to the 1st of January, the festival features performances from Kiwi bands specialising in reggae, jazz, dub and much more. 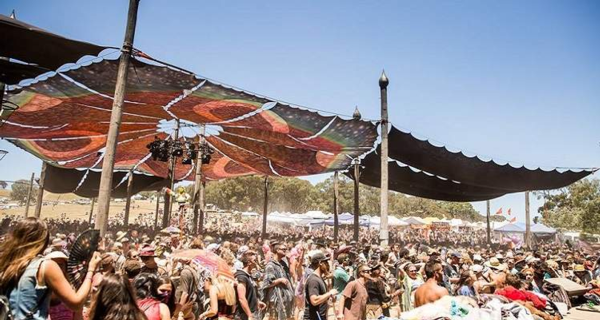 Over in Victoria, Australian music festival Earthcore will be celebrating its 25th anniversary this year, taking place on November 22nd – 25th. This legendary outdoor dance and electronic music festival is famous for its outdoor shows and dedication to environmentalism, with eco-transport to the event, a “Leave No Trace” policy, and extensive use of recyclable materials. Those wanting to experience the best that summer in South America has to offer can travel to the town of Gualeguaychu, North of Buenos Aires, for Carnival, a two-month celebration of summer featuring parades, song, dance, musical theatre and more. Carnival takes place throughout January and February, and is an unmissable experience for summer-loving revellers looking for adventure and culture. This year’s summer travellers looking for the best way to travel with minimum stress and maximum comfort can find everything they need from Voyager Luggage, New Zealand-based designers and suppliers of a huge range of travel equipment from many high-quality leading brands. With a wide variety of styles, colours and designs available, the travel gear from Voyager Luggage’s suppliers provides you with everything you need to travel the world in comfort and style. From suitcases to backpacks, travel pillows to luggage tags, the travel gear supplied through Voyager Luggage comes with security features, customisation options and more.